Description: Various Wheelbases, gas & diesel, GVW from 14,500# to 19,500#. Description: New 2018 Chevrolet 3500, 2WD, gas, double cab, ready for body! Description: Chevrolet Low Cab Forward, gas & diesel, cab & chassis, 14,500# GVW. Body Ready ! Description: 2019 Chevrolet 4500-5500-6500 Cab & Chassis, diesel, Allison, 2WD, 4WD, large inventory on it's way! Description: 2019 Chevrolet MD 5500 Cab & Chassis, diesel, Allison. Description: 2019 Chevrolet Colorados Crew and Extended Cabs, 2WD & 4WD in stock, ready to work! Description: 2018 Chevrolet Crew Cab, 4WD, diesel, w/landscaper/dump body, ready to work! Description: New 2018 Chevrolet Crew Cab Stake Body, gas. Description: Chevrolet Express Cutaway Vans, various bodies, ready to work! Description: 2019 Chevrolet Express Cutaway, 12� tool side body, dual rear wheels. Description: 2018/2019 Chevy HD 3500 Reg. 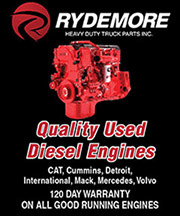 Cabs, crew cabs & double cabs in stock, gas & diesel avail., dump bodies in stock! Description: (3) 2018 Express 2500 Cargo Vans, low miles, pre-owned, excellent condition, ready to work, $27,995. Description: 2017-2018 Chevrolet Low Cab Forward, gas & diesel, auto., A/C, crew-cab, will take 12ft body, 17,900# GVW. Description: 2018 Chevrolet Express Cutaway, 15' box, ramp, 12,300# GVW, dual rear wheels, attic, etc., ready to work! Description: 2017 Nissan NV 3500 Cargo Van, only 10,990 miles, $31,995.